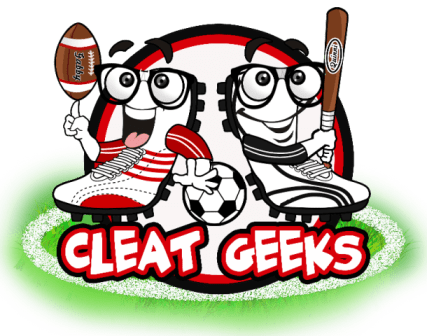 Home / Cleat Geeks / Who Will Dez Play For This Season? Who Will Dez Play For This Season? Question; Which team will Dez Bryant play for this season? Alexandria is up first, she writes for cleatgeeks covering both the Chiefs and the Royals of MLB. I think if Dez Bryant plays this season it will be with the New England Patriots. They are weak at the wide receiver position and have a history of taking on big personalities. I think the Patriots would bring out the best in Bryant at the tail end of his career. I know, I know, everyone predicts every major player who is a free agent to go to the Patriots.The fact is, a lot of them do. And I know the Patriots had a chance to pick up Dez Bryant earlier in the off-season and it didn’t happen, but I still think it makes sense. Julian Edelman is suspended, Chris Hogan has never caught more than 41 balls in a season and Cordarrelle Patterson and Phillip Dorsett don’t scare anybody (except maybe Patriots fans). Kenny Britt was released and Eric Decker retired. There aren’t a lot of options in New England, which is still a team poised to make a Super Bowl run with Tom Brady. Why not go grab Dez and see if you can make it happen? Oh Dez. Dez. Dez. I think Dez is looking back at not taking that Baltimore deal and regret it. The chances seem slim for Dez to sign by Week 1. If there was one team out there willingly to gamble on a bold personality like Dez, I could see it being New England. I find it interesting that New England as of today (9-2-2018), currently have only 5 WRs with one of those being Julian Edelman who will be serving a suspension. No one other than the Patriots (and that was a couple of weeks ago) and the Browns have shown interest in Dez. Just because I haven’t heard of any other team being interested in him, I’m going to say the Browns, because I think Dez wants to play this season. Also, I think the Browns would want to add another good pass catcher to their corps. I think somehow, some way, this gets done over the course of this season. Dez Bryant will play for the New England Patriots. With Julian Edelman suspended and two other receivers injured (Matthew Slater and Braxton Berrios), the Patriots currently have only three wide-outs on their active roster. Bryant will provide Tom Brady with veteran, play-making abilities that will take pressure off of other tailbacks and All-Pro TE Rob Gronkowski. At this point, I don’t see many franchises offering Bryant a large contract. In New England, Bryant could receive a league-minimum veteran salary and contend for a Super Bowl. It’d be a win-win situation for both Dez Bryant and the New England Patriots franchise. Although Dez has had some contract talks with the Browns, I don’t believe they’ll sign him unless something happens to either Landry or Gordon. I viewed him more as an insurance policy if Gordon needed a season off or had another issue causing a mishap for this 2018 season. I think it will be hard to say what team he goes to but I feel it’ll be due to injury circumstances to a playoff level team making a push for the Super Bowl. I personally believe he will end up on the 49ers roster by the end of the season. Goodwin or Garcon may go down and they want a nice replacement for Dez to come in and make an immediate impact on the team. They have the Rams in their division so it may be hard to win the division but sneaking into the wild card is always an option and Shanahan after playing against Dez twice a year while in Washington has seen how good of a player Dez truly is. Baring an injury on another team who offers a contract Dez can not turn down. Will play for the Browns.This move makes the most sense for Bryant and the Browns.Bryant would have a top spot in an offense that has exactly what he needs. A passing QB and other talented players at WR to take some of the heat off Bryant’s Routes. It’s only a matter of time before the Patriots sign Dez Bryant. With Julian Edelman currently suspended for four games, the Pats only have three receivers on the roster; Chris Hogan, Phillip Dorsett and Cordarrelle Paterson. None of the three receivers have ever posted a season of over 700 receiving yards. Even with Edelman back after four games, the receiving core can still use some help. Dez isn’t a bad player don’t let the media fool you, he’s not the same number one receiver Dez but he’s a quality receiver. Him and Dak were just never on the same page. Dez has waited so long because he’s waiting for the right opportunity and Patriots just may be his best chance. If he can’t check his ego at the door, nowhere. This isn’t the Dez of five years ago when he was unquestionably one of the best receivers in all of football. He’s lost a step, but not a shred of attitude. He’s reportedly turned down a few offers, but it’s getting to the point with him where he might need to realize that beggars can’t be choosers. Then again, Dez was never the strongest learner around.